Our team consists of world class climbers, world class guides, celebrities and a world renowned photographer & film crew along with resident Alaskans who have climbed mountains in the Alaska Range, the Chugach Range and in Denali National Park. Since the Denali Expedition is such a substantial challenge we are teaming up some of the most seasoned climbers in the world to summit Mount McKinley. ( Key climbers and guides to be named with pictures as they become available. ) Worldwide celebrities are invited to join the climb including Dr. Ginger Southall.
" Faith is daring to fail. Great goals are never reached until you decide to fail. I will not be a failure, for God has promised that He will be my help. He will not allow me to stumble or fail. God will plant my feet firmly one step at a time. And with each upward step, I shall climb without fail." Gary Bocarde has been guiding on Denali for 25 years and is a Certified Alpine Guide with the American Mountain Guides Association and is a member of the International Federation Guides Association (IFMGA / UIAGM). A California native, Bocarde earned a BA in English and spent a lot of time in the Sierras (hiking, skiing and climbing). 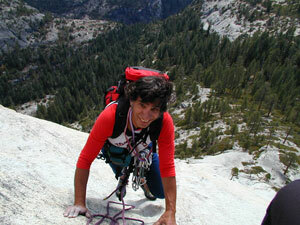 His interest in climbing began in the late 60's, with his main interest being Rock Climbing. Most of his rock climbing was in Yosemite, which included many Big Wall routes, as well as a first ascent on El Capitan, The Shield. Bocarde moved to Alaska in 1970 for a teaching job and to experience the wilderness of Alaska, where he spent more & more time snow and ice climbing than rock climbing. Bocarde launched Mountain Trip in 1973, teaching climbing and cross-country skiing. In 1976 Mountain Trip began guiding climbers up Denali and has been doing this ever since. The West Buttress is the main route, but the company has also guided climbers up the West Rib (five times), Northwest Buttress (three times) and has done the Traverse of the Mountain five times. Among Bocarde's accomplishments are: climbing to the summit of Denali close to two dozen times, routes on other Alaska Mountains including Mt Foraker, Mt Hunter (first winter ascent), numerous first ascents in the Ruth Glacier area, as well as climbs in China, Russia and in Pakistan. Since Mountain Trip has become a larger business, Bocarde spends more time doing shorter duration climbs so he can manage the business. 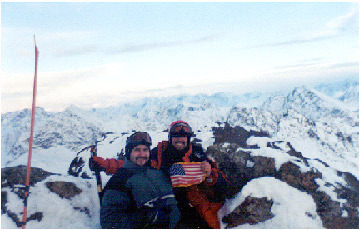 Mountain Trip does between 6 and 9 climbs on Denali per year and has an excellent success and safety record. Mountain Trip guides are reputed to be some of the best on the Mountain. 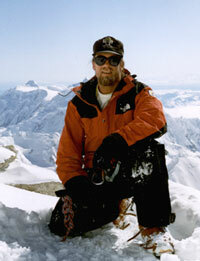 Les Lloyd is 44 years old and began climbing in 1975. He started climbing in 1975 and has climbed mountains in the U.S., Mexico, and New Zealand. He started guiding in 1976 with raft trips on the Colorado River in Glenwood Springs, Colorado. Les worked for Outward Bound in 1981 and this will be his 9th year guiding for Mountain Trip. He is still guiding raft trips and has been guiding fishing trips in Alaska for the past 12 years. Les is an avid fly fisherman and canyoneer. He and his wife are expecting a new baby any day. Climber Eric V. Oakes grew up in Colorado where he skied and played Lacrosse and then moved to Alaska. He graduated from U of A while being in the USMC recon marine unit. He is now a Second Lt in the Air Guard search and rescue unit at Wheelis and will be in flight training later this summer. The fitness trainer for the Climbing Team for Climb For America’s Children is Mr. Kevin Creeden who has been training fitness professionals for better than twenty years. His in depth knowledge of the human anatomy is by far one of the best in conditioning for an extreme event such as this. The one thing that we as climbers have that we can exert a certain amount of control over is the fitness of our body for an event such as this. However, it is important to note that in order to get to the top of Mount McKinley / Denali it will take amount of energy and a degree of pain that most people will never experience in there lifetime. In order to push past this pain threshold and actually make it to the top, it is best to be prepared for it. That is specifically why it is important to have a trainer to push the athlete to the very edge and beyond. The following will outline some the credentials of our trainer who has graciously given his time and expertise to the climbers for this extreme charitable event.